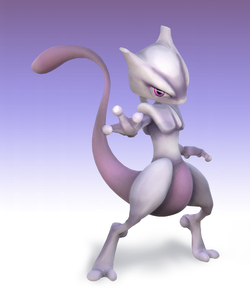 The legendary psychic Pokemon fans know and love has been re-implemented into Project M after having been unjustly cut from Brawl, despite not being a clone character. Psystrike is its Final Smash. It functions almost exactly like Lucario's Aura Storm. This page was last edited on 18 January 2016, at 11:11.